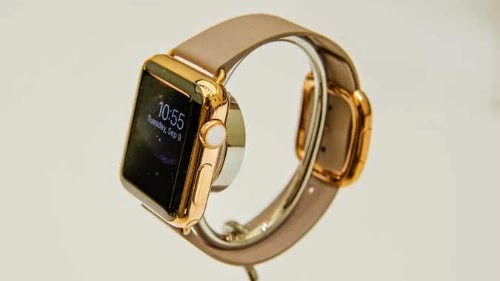 The technology giant Apple takes care not only of the technological aspect but also the style of its products, therefore the company has planned to buy 18 carat gold and add a touch of elegance to iWatch. This precious metal is highly appreciated and valued by luxury lovers. The Wall Street Journal has published this recent news and communicates that the company seeks to buy large amounts of gold for the production of the new product. The quantity is nothing more and nothing less than 746 tons of this precious metal, approximately the 30% of the world's annual production. A reasonable quantity if we bear in mind that each watch requires two troy ounces of gold, and the company plans to produce up to 1 million sets of iWatch per month. The production will start by mid 2015, hence the gold demand has been growing for quite a long time. This great figures make it difficult to predict the future increase in prices of gold. Worldwide gold is used for several purposes. People who seek for financial independence and to protect their money from severe economic times buy gold. For that, hundreds of thousands of people chose the online store of Emgoldex to buy investment gold bars with the best purchasing conditions. In addition, the company gives golden watches as gifts for their successful gold business! Share this news about the main events in the gold world in your social networks! Let everybody know the best opportunity to buy gold!